The troop had to plan and complete a simple activity that positively displayed the Scouting program to the general public. 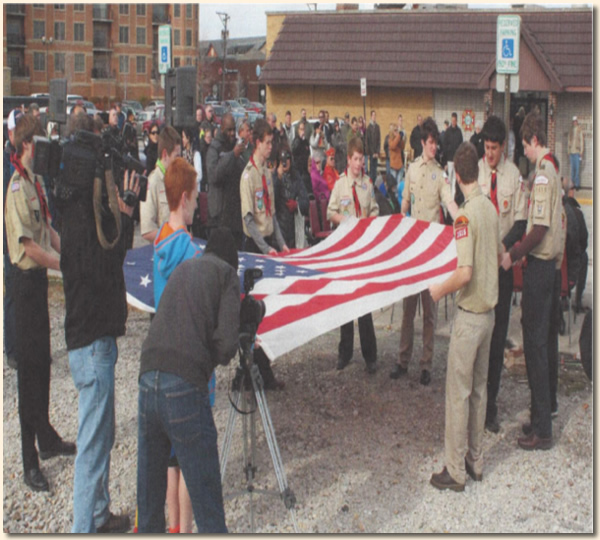 Pictured below are our scouts on November 9, 2014 at the ceremony dedicating a Veteran’s Memorial at 95th Street and 52nd Avenue just south of the VFW hall. 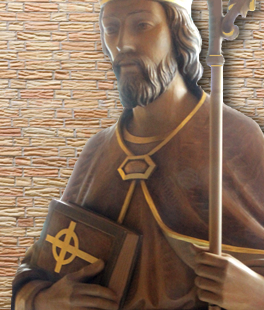 This Memorial was constructed as part of the Eagle Scout project of parishioner Justin Aubin.